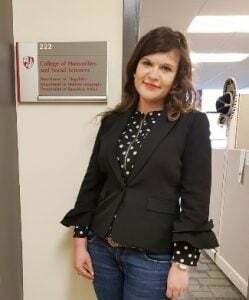 Although most of my time as a Fulbright Visiting Researcher at the University of California, Davis (UC Davis) was dedicated to working on my research project focused on the circular economy, I have always believed that the Fulbright Program should be an exciting cultural exchange experience. During my award, I participated in some amazing outdoor activities such as hiking and traveling around the United States, particularly in California. But I’d like to share how I have been involved on my host campus and in my local community to contribute in return – no matter how small – to some of the benefits I’ve received by being a Fulbrighter in the United States. 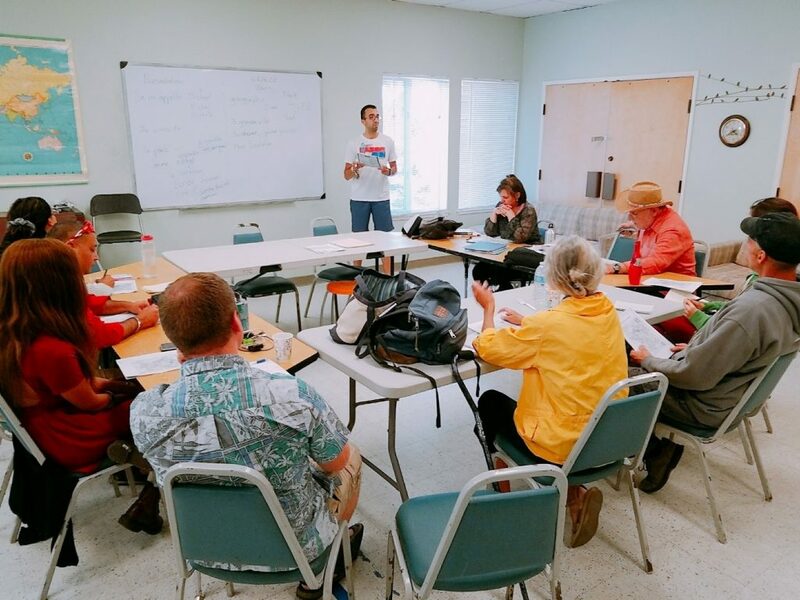 A few weeks after my arrival at Davis, I proposed offering a French Language class to a downtown community church for adults who wanted not only to speak French, but also to learn more about French culture. As it was a beginner class, I taught my students how to introduce oneself, have a basic conversation, and about French geography. With no prior French language teaching experience, it was a great opportunity, and I received good feedback from my students, who were happy to work with an actual native French speaker. During Fall Quarter, I volunteered as an Upcycling Intern at the UC Davis Aggie Reuse Store. 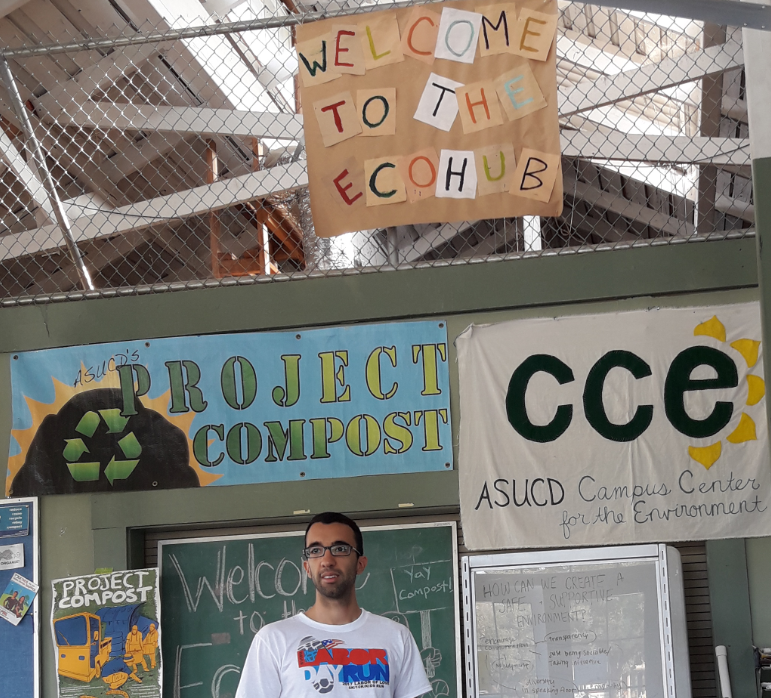 Because the UC Davis campus is very green and engaged in sustainability activities, I wanted to find a way to be a part of those activities directly. Being an intern allowed me to promote reuse and upcycling on campus by demonstrating how to make new things out of old ones, an activity that aligned nicely with my PhD thesis related to the circular economy. One month before returning to France, during the Fulbright Foreign Student Enrichment Seminar in St. Louis, Missouri, I engaged in a different kind of community service involving half a day of landscaping for the Great Rivers Pathways association, which is working to connect downtown St. Louis to the Gateway Arch and the Mississippi River via a new green path for pedestrians and bikers. By sharing this small part of my Fulbright story, I would like to encourage other Fulbrighters – current and future – to embrace their entire Fulbright experience by connecting with their local host communities during their awards. By doing so, grantees can advance the Fulbright Program’s mission to meaningfully increase mutual understanding between the people of their own countries and the people of the United States. The Fulbright Foreign Students participating in the 2018 Amizade service-learning seminar representing ten countries. From April 28 – May 5, 2018, the U.S. Department of State’s Bureau of Educational and Cultural Affairs sponsored ten Fulbright Foreign Student Program participants to engage in a week-long service-learning program in Williamson, West Virginia led by Amizade Global Service-Learning. The selected Fulbrighters, emerging leaders in a variety of fields, have all demonstrated a commitment to service in their communities. This is the third year that Amizade and Fulbright will work together in West Virginia. This activity will support the Fulbright Program’s overall mission of increasing mutual understanding between the people of the United States and the people of other countries by forging meaningful connections between these Fulbrighters and an American community with valuable lessons to share. 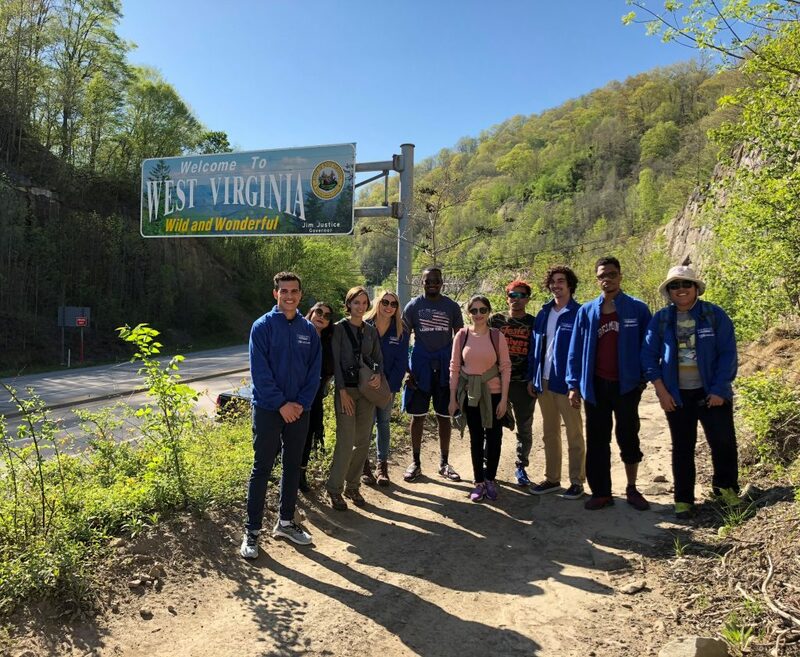 The focus on service learning highlights the importance of volunteerism in the United States and how local communities in Appalachia are pioneering and engaging in thoughtful work to maintain their cultural framework while also creating a realm of new opportunities. 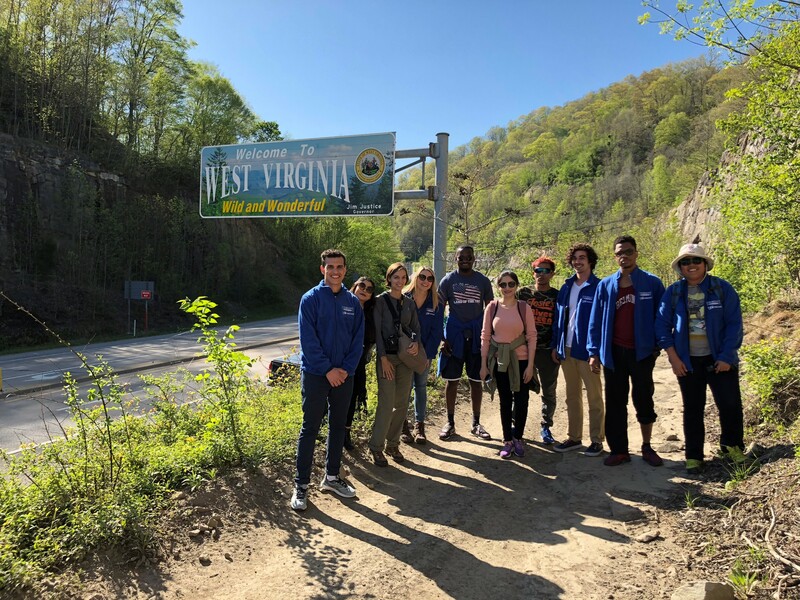 During their week-long program in Williamson, the group of ten Fulbrighters will participate in community service activities and learn about the town and its history. Williamson is a small, rural coal-mining town in Mingo County that was once home to 10,000 residents and a thriving coal economy in the mid-20th century. However, in recent years, Williamson has experienced a collapsed coal mining industry, a series of devastating floods, and de-population. Since November 2016, I have been part of the group of engineers that oversees the control systems for the new locks of the Panama Canal. It is my dream job, and a position I would not have were it not for the Fulbright Foreign Student Program. 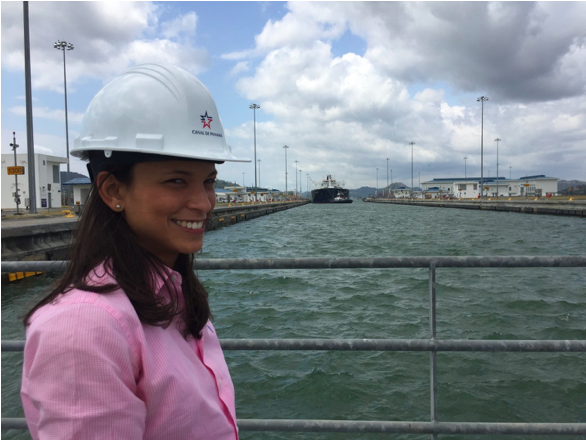 As a Panamanian, working at the Panama Canal is a responsibility, our pride and joy, and lifeblood of our country. The Panama Canal is an integral part of our history and future, and it is our duty to keep it operative. I don’t do my job for myself, but for every Panamanian. I am reminded of this key motto I now live by daily, one which the Fulbright Program cemented in me. We are to be elements of change, and as long as I am in a position to do so, I will. I never expected to become a Fulbrighter, but life takes us on mysterious paths. I became one in a most unexpected way. I was traveling in Europe with a group of 52 Latin American students. Among them were two future Fulbrighters; one Mexican and one Uruguayan. 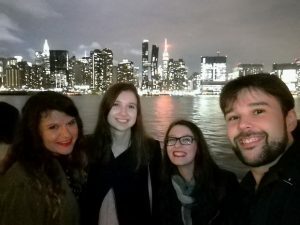 At that point, I realized I wanted to do more for my country, and my traveling companions explained how the Fulbright Program would give me the opportunity to do so. What I did not know was that participating in Fulbright would change my life in more ways than I ever imagined.